Just like technology, shoplifting tools evolve at a rapid pace. The most commonly used shoplifting tools are known today as boosters. Boosters are items used to conceal stolen items which assist the shoplifter in their theft. Shoplifting tools or boosters can range from innocuous items like a diaper or paper bag to strollers and wheelchairs. Bags of any kind can be used in the concealment of goods i.e. shopping bag, diapers, paper, plastic, etc. Adding aluminum or tin foil to any bag can serve as an electromagnetic shield which blocks the RF or AM signal, contained in a security tag or label. Coats or jackets of any kind can be used to hide stolen goods. Pants with elastic at the top and/or bottom are ideal to conceal shoplifted merchandise. Even large or oversized socks can used to hide items. Shoplifting tools can also extend from the traditional booster bag or clothing to equipment used to remove tags, replace bar codes, or even perpetuate return fraud. The list of items used as shoplifting tools is ever-expanding and always creative. A stroller, cart, or wheelchair can be used to store stolen items. Garden shears or scissors can be used to remove security tags or packaging. Surgical tubes can be carried between the legs of a shoplifter, camouflaged by loose pants or a dress, and used as a hammock to obscure shoplifted merchandise. After shoplifting an item, pre-printed, fake receipts can be used to obtain a cash or credit refund for the stolen goods. 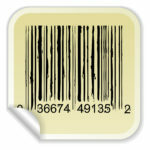 A bar code creator can be used to create a false UPC code that is brought to a store and then used as part of a shoplifting scam. A false UPC code, for a higher priced and similar item, is used to replace the UPC code on a similar, but lower priced shoplifted item. The shoplifted merchandise is then returned, displaying the false, higher priced UPC code, without a receipt. Additionally, the fake bar code can be overlaid on the original bar code, allowing the product to ring up at a false price. According to the 2018 National Retail Security Study, shoplifting is the number one source of retail theft accounting for 35.7% of shrinkage. Shoplifting is a multilayered challenge for retailers and shoplifting tools are just one part of the shoplifting challenge. Maximize your loss prevention efforts by training your staff on the red flags of shoplifting, shoplifter profiles, and tips to prevent shoplifting. DIGIOP can also help offer solutions to help with you shoplifting challenges as a turnkey provider of Loss Prevention solutions. Maximizing your shoplifting education and training now will help minimize your losses later.